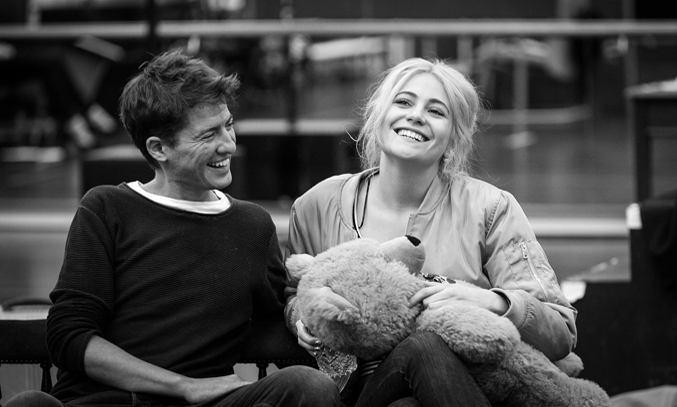 Rehearsals have started for the UK tour of BREAKFAST AT TIFFANY’S which stars Pixie Lott in the iconic role as Holly Golightly. Based on the 1961 film starring Audrey Hepburn and George Peppard, the romantic comedy tells the story of a young New York socialite who becomes interested in a young, penniless writer who has moved into her apartment building. The classic novella written by Truman Capote has been adapted for the stage by Tony and Olivier Award-winning playwright Richard Greenberg (TAKE ME OUT, THREE DAYS OF RAIN) and is directed by acclaimed theatre director Nikolai Foster. Pixie Lott steps into Audrey Hepburn’s shoes as Holly Golightly and joins an all-star cast including DOWNTOWN ABBEY star Matt Barber as Fred. The production opens at Leicester Curve on Thursday 3 March before heading out on tour, including a week-long run at Salford’s The Lowry in April.